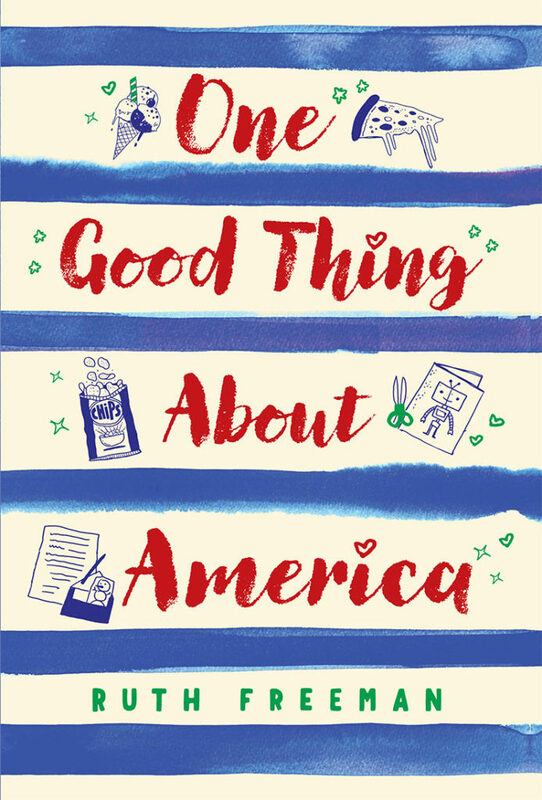 Ruth Freeman is the author of One Good Thing About America, a new novel for kids. 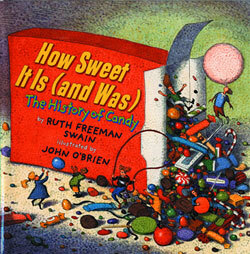 Her other books include Underwear and How Sweet It Is (and Was): The History of Candy. 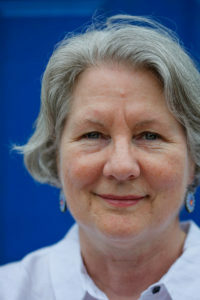 She lives in Maine, and she teaches students who are English language learners. Q: How did you come up with the idea for One Good Thing About America and your main character, Anaïs? A: I teach English language learners (ELL) in an elementary school in southern Maine, so I spend every day with wonderful students who inspired my story. The idea for a “school” story had been rolling around in my head ever since I went back to graduate school for a teaching degree, but it was when I started working with ELLs that I began to see “school” through their eyes. Some of my students are brand-new newcomers, others were born here but speak another language at home. Because it takes approximately five to seven years to become fluent in both basic and academic English, we will usually work with the same students over several years, and thus get to know them really well. Being a writer, I wanted to record the stories I was seeing and hearing everyday. What do you do if you don’t understand a word your teacher is saying, no one can pronounce your name, and the lunch choice is chicken fingers? Anaïs is a blend of several of my students. I wanted to show how determined many of our ELL students are. They want to learn English, they want to do well in school, they want to make sense of the American culture. This is after they have left behind homes and friends and family members. They are an inspiration and I wanted others to meet them. Q: Why did you decide to tell the story in the form of letters from Anaïs to her grandmother? A: A couple of years ago I was working with some ELL students in a second grade classroom where they were writing persuasive letters, stating an opinion and trying to persuade others to their point of view. I think that was the first time the letter-writing piece might have occurred to me. I had never written anything in letters before, but when it came time to tell Anaïs’ story I wanted the reader to be as close to her as possible, to see things from her point of view. To keep it as realistic as possible, I thought she would write letters home to the grandmother she loves and misses in the Democratic Republic of Congo. As I started writing the letters, I quickly realized what an interesting challenge it was going to be. Anaïs, even though she was the best student in English at her school back home, discovers she doesn’t know as much English as she thought. By writing from her point of view, I had to see everything as she would see it. I limited myself to her vocabulary, her grammar and her spelling. I wanted to make the letters as authentic as possible, so I decided to use some spelling mistakes to show how a newcomer would hear the words. For example, “know” becomes “no,” and “asked” becomes “askt.” As Anaïs learns more English, I had her vocabulary expand, and her grammar and spelling improve. A: I have to thank my wonderful editor at Holiday House, Mary Cash, for the title. I’d been using a working title, knowing it might change. It was Mary who, after reading the manuscript many times, suggested One Good Thing About America, which was perfect! She emailed me that the title had been right in front of us all the time, and she was right. 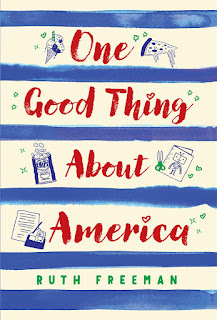 The theme of one-good-things appears throughout the book, from when Anaïs’ grandmother first urges her to find good things about America, to the end when Anaïs’ friends and teachers tell her she is one good thing about America. For me, the title signifies two things. First, I believe the people who are recent arrivals to this country, just as those who arrived years or generations ago, are without a doubt good things about and for America. We are, after all, a nation of immigrants. New arrivals bring new ideas, new ambitions and new dreams and we are all the richer for it. The state where I live, Maine, has one of the oldest average ages in the country. Like many other parts of the country, we need immigrants to fill jobs and start new businesses. Secondly, I like the title because it reminds me, and hopefully all readers, about the good things that are all around us if we look for them. When I was writing the book, I made a list of Anaïs’ one-good-things and my one-good-things. Of course, many of her favorites are mine, too, like the library and sledding and ice cream! But my one-good-things also include spring peepers, sunsets and the sound of a car going by at night on a rainy city street. We all need to find those things that make us happy. Q: As you’ve mentioned, the book focuses on a girl who comes to the U.S. from the Democratic Republic of Congo. Given the current attention on immigration issues, can you say more about what you hope readers take away from your book? A: Some of my answer is up above in question #3 when I wrote about the title and how I think immigrants are good for America. In addition, I would say that it seems to make all the difference when we meet someone outside of our own circle and get to know them. Learning about someone’s different background or different interests helps us gain a new understanding and empathy for them. Our horizon grows wider and richer for the experience. I love meeting new people and learning about them. Even when I meet someone I don’t agree with, it’s interesting to find out what makes them tick. So, I hope readers of One Good Thing About America will get a glimpse of what life is like for a newcomer and, in so doing, come to understand and empathize with people who are new to this country. A: Whenever I finish a book, I never know if I will get another idea or not. Ideas come and go, but every now and then, one sticks and won’t go away. I love it when this happens! I got an idea about a year ago for a new story. It’s been sticking in my head ever since. It’s in what I call the “jelly stage,” a lovely fluid stage where it grows and changes. I’ve been so busy with One Good Thing About America that I haven’t worked on it besides doing some research and writing down some notes. 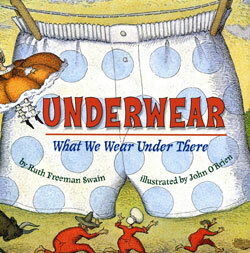 It will be a novel for the same age group (ages 8-12). Immigration will play a role, but won’t be as much of a focus as it was with Anaïs’ story. I’m hoping to use this summer, when I’m off from teaching, to dive in and start putting it on paper.